These lightweight earrings are very comfortable and perfect for everyday wear. 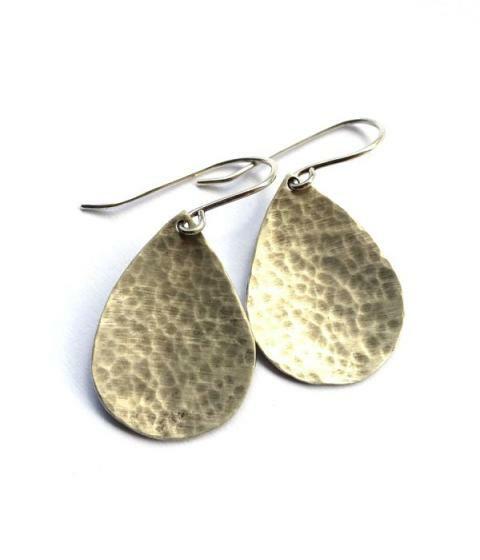 Sterling silver drop-shapes are given a hammered and then polished finish and hung on shorter hooks. Notify me when Hammered Drops is available.